Ocean One Villas has two-bedroom (1,293 square feet), three-bedroom (1,584 square feet) and four-bedroom (1,819 square feet). These condos overlook either the ocean or the back of the building that is parallel to the ocean. 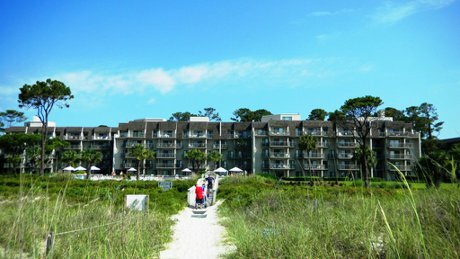 There is a large pool right up on the beach in between the complex and the dune and the building itself is concrete construction and solid as a rock. Many of the units have been updated with tiled floors, granite counter tops, and stainless appliances.